The boys and girls in Scoil Oilibhéir have been working really hard to create their beautiful pieces of artwork for Art Oilibhéir. 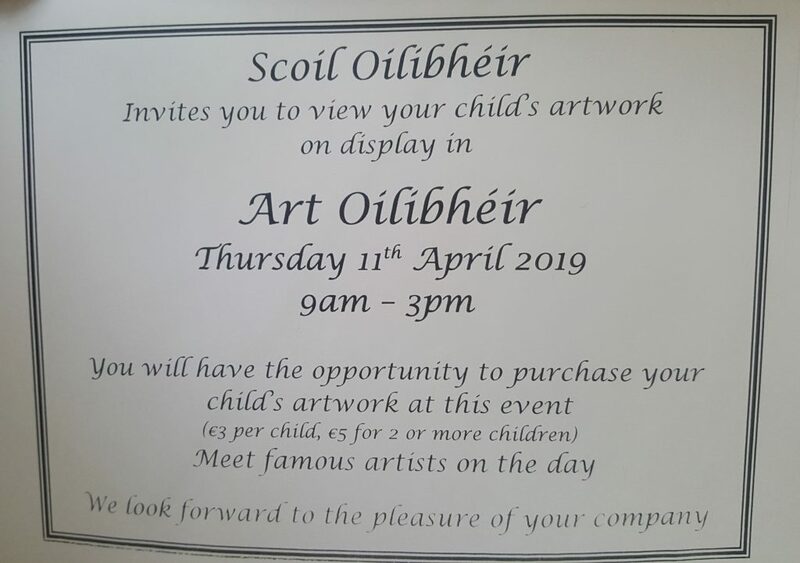 Invitations to attend Art Oilibhéir on Thursday 11th April from 9am- 3pm were sent home yesterday and excitement is building around the whole school! Parents will have the opportunity to purchase their child’s artwork at this event and may even meet some famous artists on the day! Daffodil Day in Scoil Oilibhéir.